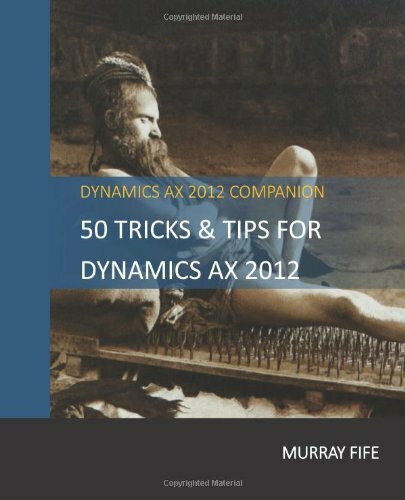 You probably know already that you can create your own menu items and menus within Dynamics AX, but in addition to being able to update the navigation menus for the area pages, you can also update the Tools menu as well to add any utilities and forms that you may want users to access. This way the users don’t have to have access to AOT in order to open up those common hidden utilities. If you really want to be clever, you can even add Tetris. Start off by opening up AOT and finding the menu item that you want to add to the Tool menu. Now we will want to create a menu item for the form. To do this navigate to the Menu Items folder within AOT, right-mouse-click on the Display node, and then select the New Menu Item menu item. This will create a new menu item element for you. Give the new menu item a Name and a Label and then from the Object dropdown list, select the form that you want to add to the menu. You don’t have to make any more changes to the Menu Item control. Now we want to add the menu item to the Tools menu. To do this, expand the Menus folder within AOT and find the GlobalToolsMenu item within the menus. Right-mouse-click on the GlobalToolsMenu item, select the New menu item and then click on the Menu Item menu item. This will create a new menu item node within the GlobalToolsMenu. From the MenuItemName dropdown box in the Properties panel, find the new menu item that you just created. This will automatically populate the Name property for you from the Menu Item details. All you need to do now is click on the Save button to update the code. Now when you open up the Tools submenu menu you will see your new menu item there. Clicking on it will open up the menu item.